You may not see yourself as an outgoing person, but that’s no reason not to go to an author conference, believe it or not. 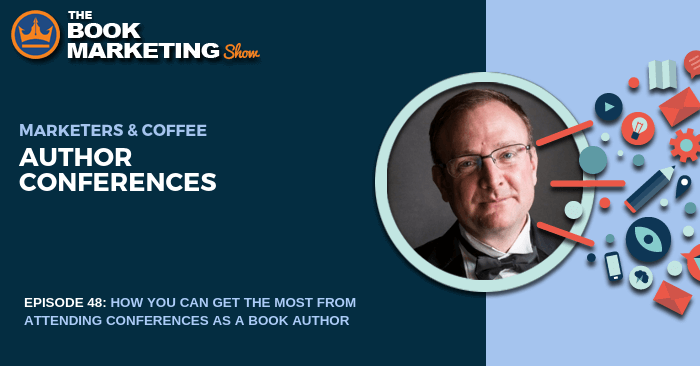 For this session of Marketers & Coffee, I brought on Craig Martelle who runs the Facebook group 20Booksto5k, and he also is behind the 20BookstoVegas conference, which is going to be held in November of 2018. We discuss some tips to help you get the most from going to conferences, as well as some things we wished we had done differently at our first conferences. But what we can both tell you is that meeting other authors and talking to them face-to-face and in person can be a wonderful experience. We can get a chance to talk to our tribe and to people who understand what we go through. It’s also nice to meet people who have succeeded and to ask them about their journey. It’s nice to hear their story and find yourself saying, “Oh! I’m at that point right there!” In turn, as you go to more conferences and meet with authors less experienced than yourself, you can tell them about your journey and see their eyes light up when they realize the same thing. Listen more than you speak. It’s important when you go there just to get the flavor of it and see how it goes. Because if you go in balls-to-the-wall and try to be overwhelming, especially if that’s not you, then you will have a painful experience. Having that in-person experience with other authors creates a stronger bond than simply meeting someone online and the collaboration has helped exponentially. Networking with other authors not only means you can talk about the craft of writing, but also help each other out in terms of marketing, such as exchanging email newsletters. Most authors don’t produce a book every month and can use the opportunity to promote someone else to their readers in the same genre to their newsletters, for example. One tip for going to conferences is to be memorable. This could mean having a business card that stands out, handing out fun swag, or simply leaving an impression so that someone who meets you may tell their friends about you. But, if nothing else, find a way to communicate with the other authors you meet, either by exchanging information or business cards. But make sure to proofread those business cards to make sure your contact information is correct—don’t be like me and have the wrong email listed! And, as Craig says, make sure you talk to people, especially those you admire. A note to introverts: Conferences don’t have to be a scary, in-your-face type of event. Author conferences, especially self-publishing author conferences, are probably filled with other introverts. Introverted doesn’t necessarily mean shy or quiet, though. Sometimes it means we don’t want to deal with the usual small talk, like the weather. A good ice-breaker at these conferences is to ask someone about their writing. More than likely, they are itching to tell someone about it. Write your genre on your badge so you can easily be identified by others who also write in that genre. Pass out swag that’ll make you memorable. It could be pens, notebooks, stickers, or pins. Stay on top of your health. Make sure you’re getting plenty of water, you’re remembering to eat, and that you’re getting an adequate amount of sleep. If you find yourself talking a lot, it’s also a good idea to bring along Chapstick. Craig Martelle writes mainly science fiction with themes of duty, honor and justice. He is a Dragon Award finalist for the best military science fiction novel. His books have hit No. 1 in the US, UK, Canada, and Australia. I write mainly science fiction with themes of duty, honor, and justice. 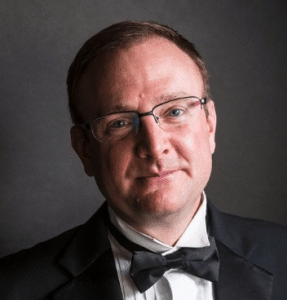 A former US Marine, he took his law degree into business consulting as a business diagnostics specialist and leadership coach, and then retired at the age of 52 to become a full-time writer. He is also a writer of short stories and best selling novels in the sci-fi, genetic engineering and space genres.